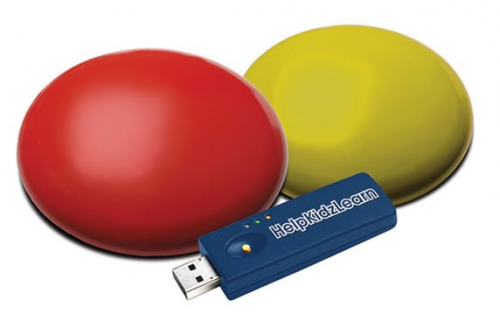 A new, easy to use switch interface and wireless switch bundle from HelpKidzLean. The new HelpKidzLearn Easy Switch is ideal for use with HelpKidzLearn accessible games and activities, and with our switch operated software. Easy Switch is easy to use and has no software to install. Simply connect the Easy Switch dongle to a USB port on your computer and you are ready to play switch accessible games and activities such as Splat the Clowns, Five Little Aliens and many more. Easy Switch offers a plug and play option for your learners without the hassle of wires. Switches possess a long battery life.